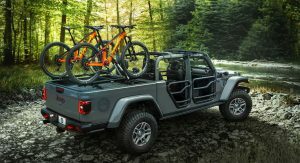 Mopar was quick to showcase its range of parts and accessories for the all-new 2020 Jeep Gladiator. 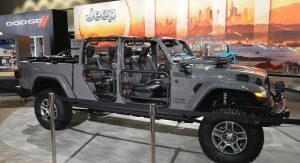 Mind you, FCA’s in-house tuner has a lot to show as the list includes more than 200 items — everything from styling and practicality upgrades, to performance parts, with some of them on display on a Mopar-modified 2020 Gladiator at Jeep’s LA Auto Show stand. 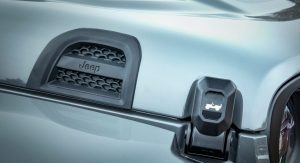 The show car highlights the “open-air personalization potential” of Jeep’s body-on-frame midsize truck. 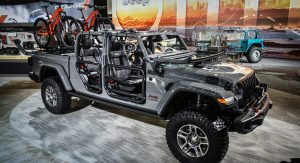 Customization options include a Jeep Performance Parts (JPP) 2-inch lift, JPP tube doors, Mopar spray-in bed liner, tonneau covers, a truck bed storage system and much more. 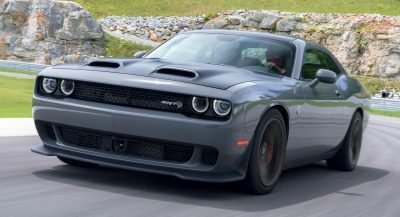 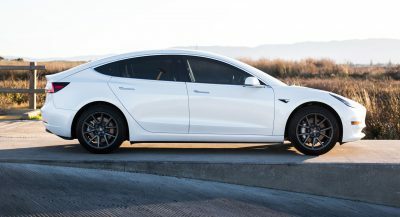 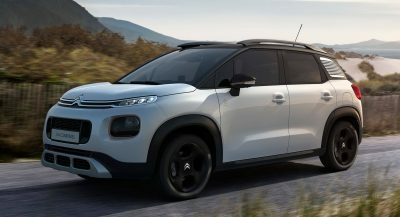 Exterior Mopar modifications also include JPP 5-inch and 7-inch off-road LED lights, a mesh sunbonnet, unique 17-inch five-spoke wheels, a hood decal, blacked out Mopar grille, windshield tie-down straps, and JPP logos. 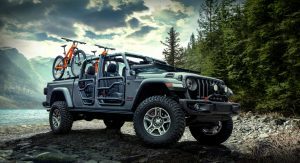 The Moparized Gladiator packs practical accessories as well, including a bike carrier attached to the bed-mounted cross rails. 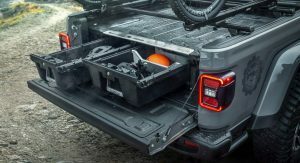 There’s also a bed storage system with lockable, dual sliding drawers. 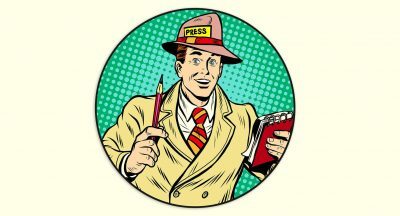 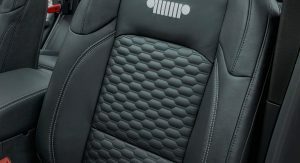 As for the interior, Mopar has added Katzkin leather seats, grab handles, Molle storage bags, and all-weather floor mats. 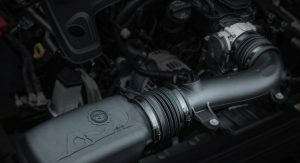 Performance-wise, this Gladiator features a cold air intake and a cat-back exhaust system for a power and torque supplement. 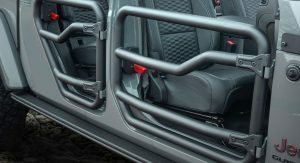 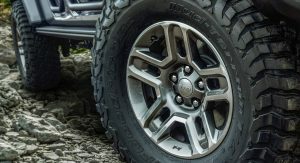 The long list of Mopar products includes active lifestyle accessories such as bed-mounted cross rails that adapt to a variety of carriers, as well as performance-enhancing features like off-road lights and bead-lock wheels. 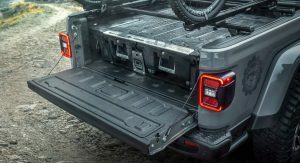 The good news is that the majority of parts and accessories for the 2020 Gladiator will be ready when the pickup truck launches in the second quarter of 2019. 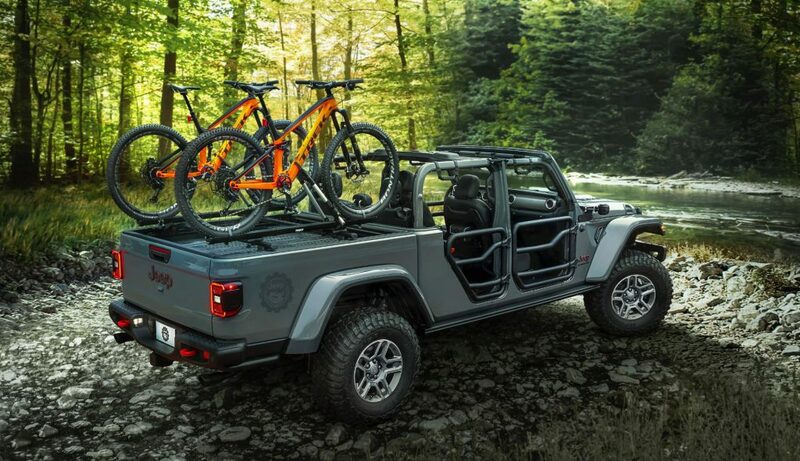 That looks very good. 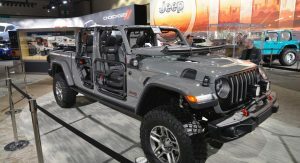 would be fun if I knew where trails were to drive it on.